CAST CAST Specialty Transportation, Inc. Tables AUD-1 through AUD-16 of this appendix summarize assessments performed between January 11, 2003 and January 15, 2008 of transuranic (TRU) waste sites, Sandia National Laboratories (SNL), Washington TRU Solutions (WTS), Limited Liability Corporation (LLC), suppliers performing quality-affecting work, the Carlsbad Field Office (CBFO), and Los Alamos National Laboratory – Carlsbad Operations (LANL-CO), and supplement the information contained in the 2004 Compliance Recertification Application (CRA-2004) (U.S. Department of Energy 2004a). The summaries are grouped in order of assessment number by the auditing agency (A – Audit, S – Surveillance). Some assessments were performed prior to the end of the CRA-2004, Appendix AUD-2004 reporting date; however, the assessments were not considered complete until the final report and associated regulatory approvals (if required) were documented. Each assessment entry outlines the assessment scope and results. Results of the assessment normally determine the adequacy, implementation, and effectiveness of the auditee’s quality assurance (QA) program. Adequacy addresses the migration of requirements from upper-tier program documents into implementing procedures. Effectiveness addresses whether the controls established in the implementing procedures produce the desired results or end product. For ease of reference, CBFO is used throughout this appendix to mean CAO (Carlsbad Area Office) or CBFO, as appropriate. All assessments were performed to the current requirements in place at the time of the activity. The summary tables include the organization that was assessed, the assessment number, the scope of the assessment, and the results of the assessment expressed as “satisfactory” (S), “marginal” (M), “unsatisfactory” (U), “not applicable” (N/A), or “indeterminate” (I) for the three factors considered during an assessment (i.e., “adequacy,” “implementation,” and “effectiveness”). Indications of M, U, and I are addressed through the corrective action program to bring them up to S. Assessment findings of M, U, and I at TRU waste sites have been corrected or satisfactorily addressed and verified through subsequent audits, surveillances, corrective action reports (CARs), or other means prior to initial certification or continued certification for shipping to the Waste Isolation Pilot Plant (WIPP). Only those CBFO assessment activities directly related to 40 CFR Parts 191 (2000) and 194 (2004) are included in this appendix. Additional CBFO assessments are performed in other critical areas. In addition, each participant performs internal assessments of their own activities. Technical and QA activities related to INEEL analytical laboratory, which functions as an independent sampling and analysis laboratory. The defined QA program was satisfactorily implemented in accordance with the CBFO contract and statement of work, as well as the INEEL implementing procedures. Technical areas evaluated were adequate, satisfactorily implemented, and effective. Technical and QA activities related to the INEEL analytical laboratory, which functions as an independent sampling and analysis laboratory. Continued implementation and effectiveness of technical and QA activities related to the INEEL analytical laboratory functioning as an independent sampling and analysis laboratory. INEEL technical and QA procedures were adequate relative to the flow down of requirements from the CBFO Quality Assurance Program Document (QAPD) (U.S. Department of Energy 2007); the WIPP Hazardous Waste Facility Permit (HWFP) (State of New Mexico 1999); and the Contact-Handled (CH-) transuranic (TRU) (CH-TRU) Waste Acceptance Criteria (WAC) (U.S. Department of Energy 2008a) for the WIPP. The QA program was satisfactorily implemented in accordance with the CBFO contract and statement of work, as well as the INEEL implementing procedures. The INEEL technical areas evaluated were satisfactorily implemented and effective. INL TRU waste characterization activities performed by or for INL by the Central Characterization Project (CCP). The defined QA and Technical programs and processes for these activities were satisfactorily implemented in accordance with the CCP TRU Waste Characterization Quality Assurance Project Plan (QAPjP) and its implementing procedures. Technical and QA activities related to the INL Transuranic Waste Certification Program (TWCP) analytical laboratory functioning as an independent sampling and analysis laboratory. The defined QA program was satisfactorily implemented in accordance with the CBFO contract and statement of work, as well as the INL-TWCP implementing procedures. Technical areas evaluated were adequate, satisfactorily implemented, and effective. INL/CCP TRU waste characterization and certification activities as they relate to the WIPP HWFP (State of New Mexico 1999) for Summary Category Group (SCG) S3000 homogeneous solids, S4000 soil/gravel, and S5000 debris waste. The INL/CCP technical areas evaluated were satisfactorily implemented and are effective. INL/CCP TRU waste characterization activities performed by CCP relative to the requirements detailed in the CBFO QAPD (U.S. Department of Energy 2007), the CH-TRU Waste Acceptance Criteria (CH-TRU WAC) for the WIPP (U.S. Department of Energy 2008a), and the WIPP HWFP (State of New Mexico 1999), as related to QA and nondestructive assay (NDA) activities. The INL/CCP technical NDA and QA programs, as applicable to audited activities, were satisfactory in meeting requirements. Technical and QA activities related to the INL TWCP, which functions as an independent sampling and analysis laboratory. The INL technical and QA procedures were adequate relative to the flow down of requirements from the CBFO QAPD (U.S. Department of Energy 2007); the WIPP HWFP (State of New Mexico 1999); and the CH-TRU WAC (U.S. Department of Energy 2008a) for the WIPP. The defined QA program was still satisfactorily implemented in accordance with the CBFO contract and statement of work, as well as the INL implementing procedures. INL technical areas evaluated were adequate, satisfactorily implemented, and effective. INL TWCP for Small Container Sampling activities as they are related to the WIPP HWFP (State of New Mexico 1999) and the CBFO QAPD (U.S. Department of Energy 2007). TWCP Small Container Sampling technical and QA programs, as applicable to audited activities, were satisfactory in meeting requirements. INL TRU waste characterization activities performed for INL by the CCP. The INL/CCP QA program, as applicable to audited activities, was satisfactory in addressing established requirements. Technical and QA activities related to the INL TWCP. Review of the transition of INL TWCP to the CCP QA Program. INL TWCP technical and QA procedures remain adequate relative to the flow down of requirements from the CBFO QAPD (U.S. Department of Energy 2007) and the WIPP HWFP (State of New Mexico 1999) Waste Analysis Plan (WAP). INL TRU waste characterization activities. The INL/CCP technical and QA programs, as applicable to audited activities, was satisfactory in addressing established requirements. INL/CCP Remote-handled (RH)-TRU technical procedures and QA program activities evaluated were satisfactorily implemented and effective. INL/CCP TRU waste characterization and certification activities as they relate to the WIPP HWFP (State of New Mexico 1999) for characterization and recertification of CH-TRU SCG S3000 homogeneous solids, S5000 debris, and S4000 soils/gravel wastes, and RH-TRU SCG S5000 debris waste stream ID-ANL-E-S5000. INL/CCP technical procedures and QA program activities were satisfactorily implemented and effective. TRU waste characterization activities performed for INL by the CCP relative to the requirements detailed in the WIPP HWFP (State of New Mexico 1999), the CBFO QAPD (U.S. Department of Energy 2007), the WIPP TRU WAC (U.S. Department of Energy 2008a), the RH-TRU Waste Characterization Program Implementation Plan and the Transuranic Authorized Methods for Payload Control (TRAMPAC) (U.S. Department of Energy 2005a). INL/CCP technical and QA programs, as applicable to audited activities, were satisfactory in meeting requirements. INL/CCP TRU waste characterization activities as they relate to the requirements detailed in the WIPP HWFP (State of New Mexico 1999) and the CBFO QAPD (U.S. Department of Energy 2007) for characterization of SCG S4000 soils/gravel waste. The INL/CCP program for characterization and certification activities related to SCG S4000 (soil/gravel) was adequate, satisfactorily implemented, and effective. Technical and QA activities at the INL conducted by the CCP. Activities evaluated were satisfactorily implemented. Transfer of the real-time radiography (RTR) Unit 5 system for nondestructive examination, which was transferred from the Nevada Test Site (NTS) CCP to the INL/CCP site for TRU waste characterization activities. System operability and the implementation of associated procedures were also evaluated. Activities and procedures evaluated were adequate, satisfactorily implemented, and effective. Documentation establishing that a QA program equivalent in effect to the nuclear quality assurance (NQA) standards was applied to mass spectroscopy measurements used to develop the isotopic scaling factors used for characterizing RH-TRU waste. The mass spectroscopy measurements were conducted in accordance with a QA program equivalent in effect to the NQA standards applicable to the WIPP. Installation, setup, and use of the Gas Chromato­graph/Mass Spectrometer (GC/MS) VOA-5 system for analysis of solidified waste samples for volatile organic compounds (VOCs); system operability and the implementation of associated procedures. The GC/MS VOA-5 system was installed properly and initial activities were completed successfully. The VOA-5 system was performing acceptably for TRU waste characterization activities. The applicable implementing procedures for this system and activity were adequate, satisfactorily implemented, and effective. Policies, plans, and procedures related to the operation of the INL/CCP RH-TRU RTR and CH-TRU NDA SuperHENC (High Efficiency Neutron Counter) characterization equipment. INL/CCP NDA activities, RH-TRU radiography process, CCP software procedures, and software quality assurance (SQA) process were adequate, satisfactorily implemented, and effective for operation of the INL/CCP SuperHENC NDA equipment. Policies, plans, and procedures related to the Accelerated Retrieval Project (ARP) sampling activities for S3000 and S5000 wastes conducted at INL by the CCP. INL/CCP activities had adequate procedures that were effectively implemented. INL/CCP QA program activities related to headspace gas (HSG) analysis; sampling and analysis of homogeneous solids and soil/gravel waste; and generation-level data verification and validation (V&V). INL/CCP procedures were satisfactorily implemented and evaluated processes were effective. Policies, plans, and procedures related to the ARP visual examination (VE) process for newly generated wastes performed at INL by the CCP. INL/CCP VE activities were adequate, satisfactorily implemented, and effective. HSG sampling, analysis, and associated activities utilizing the Entech/Agilent system. The LANL process for obtaining manual HSG samples was adequate relative to the flow down of requirements from the CBFO QAPD (U.S. Department of Energy 2007) and the HWFP (State of New Mexico 1999). LANL technical processes were satisfactorily implemented and effective. LANL TWCP, including QA and WIPP HWFP (State of New Mexico 1999) activities. LANL technical and QA processes and procedures were adequate relative to the flow down of requirements from the CBFO QAPD (U.S. Department of Energy 2007) and the HWFP (State of New Mexico 1999). CCP TRU waste characterization and certification activities related to S3000 (homogeneous solid waste) and S5000 (debris waste) and the adequacy, implementation, and effectiveness of the technical and QA activities. CCP technical and QA procedures were adequate relative to the flow down of requirements from the CBFO QAPD (U.S. Department of Energy 2007), the WAP of the HWFP (State of New Mexico 1999), and the WIPP WAC (U.S. Department of Energy 2008a). CCP TRU waste characterization and certification activities related to SCG S3000 (retrievably stored homogeneous solid waste) and S5000 (retrievably stored, newly generated, and repackaged retrievably stored debris waste), and the adequacy, implementation, and effectiveness of the technical and QA activities. Assessed activities were satisfactorily implemented in accordance with the CCP QAPjP and the implementing procedures. The established technical processes and the QA program were effective. LANL TRU waste characterization activities performed for LANL by the CCP relative to the requirements detailed in the WIPP HWFP (State of New Mexico 1999), the CBFO QAPD (U.S. Department of Energy 2007), and the CH-TRU WAC (U.S. Department of Energy 2008a). LANL/CCP technical and QA programs, as applicable to audited activities, were satisfactory in meeting requirements. The defined QA and technical programs for SCG S3000 (homogeneous solids) and S5000 (debris waste) were satisfactorily implemented in accordance with the CCP QAPjP and its implementing procedures, and the processes were effective. LANL TRU waste characterization and transportation activities performed for LANL by the CCP relative to the requirements detailed in the WIPP HWFP (State of New Mexico 1999), the CBFO QAPD (U.S. Department of Energy 2007), and the CH-TRU WAC (U.S. Department of Energy 2008a). LANL TRU waste characterization activities performed for LANL by the CCP relative to the requirements detailed in the WIPP HWFP (State of New Mexico 1999), the CBFO QAPD (U.S. Department of Energy 2007), and the WAC (U.S. Department of Energy 2008a). LANL/CCP technical and QA programs, as applicable to the audited activities, were satisfactory in meeting requirements. LANL TRU waste characterization and transportation activities performed for LANL by the CCP relative to the requirements detailed in the WIPP HWFP (State of New Mexico 1999), the QAPD (U.S. Department of Energy 2007), the WAC (U.S. Department of Energy 2008a), and the RH-TRU Waste Characterization Program Implementation Plan (WCPIP). LANL/CCP technical and QA programs, as applicable to audited activities, were satisfactory in meeting requirements. The defined QA and technical programs for SCGs S3000 (homogeneous solids) and S5000 (debris waste) (including RH-TRU waste) were satisfactorily implemented in accordance with the CCP QAPjP and its implementing procedures, and the processes were effective. The peer review process conducted for the qualifica­tion of VE characterization data to the data quality objectives (DQOs) and QA objectives as defined in the WIPP WCPIP. The peer review process was satisfactorily implemented and effective. Implementation of the technical requirements contained in the RH-TRU waste WCPIP as applied to RH-TRU waste packaged in RH-72B canisters. Implementation and effectiveness of using “equivalent quality assurance program” as a method of qualifying characterization data for the waste contained in these canisters. Because the requirements for RH-TRU waste characterization were not issued at the time of the surveillance, and the work presented at the demonstration was not performed in accordance with the QA requirements specified in the CBFO QAPD (U.S. Department of Energy 2007), the information reviewed during S-03-17 could not be used for waste certification purposes. Therefore, no report was issued for this surveillance. Adequacy and effectiveness of the Sealed Source Peer Review process conducted by the Offsite Source Recovery Project, LANL. The overall process was adequate and effective. LANL 2010 Project characterization and certification activities performed after CBFO Audit A-03-27. Project records disposition and turnover activities, including preparation and turnover of applicable software programs for continued access and use, disposition and turnover of acceptable knowledge (AK) records for waste to be characterized and certified by the LANL/CCP. The areas evaluated were satisfactorily implemented. Implementation of requirements in the LANL/Carlsbad Environmental Monitoring and Research Center (CEMRC) Memorandum of Understanding, the CEMRC Quality Assurance Plan (QAP), and the QAP Addendum A. The QA program for the Actinide Chemistry and Repository Science Program in support of the WIPP, as implemented by LANL-CO in accordance with CEMRC procedures, was unsatisfactory. The following CARs were issued as a result of the assessment: 04-011, CEMRC procedures do not adequately meet the CBFO QAPD (U.S. Department of Energy 2007); 04-012, LANL management has not developed an effective Quality Assurance Program (QAP); 04-013, Records packages and records disposition do not meet requirements; 04-014, Inadequate implementation of management assessments; and 04-015, Use of chain-of-custody forms (U.S. Department of Energy 2008b). Corrective actions were verified on May 19, 2004, and the CARs were closed on June 6, 2004. Implementation of requirements in the LANL-CO/CEMRC Interface Document, LANL-CO QAP, and LANL-CO implementing procedures. The LANL-CO QA program, as implemented by LANL-CO in accordance with LANL-CO procedures, was adequate and effective with the exception of procurement, which was indeterminate. The audit team concluded that the LANL-CO QA program was adequate and effective. The LANL-CO QA program was adequate, satisfactorily implemented, and effective. Procurement activities, including training of personnel implementing the procurement procedure, procurement of items for both Quality Level 1 (QL1) and Quality Level 2 (QL2), receipt of QL1 procurement, supplier qualification, determination of quality levels for procurement, and identification of items for procurement. Overall, the LANL/CO Procurement program and implementing procedure were adequate relative to the flow down of requirements from the CBFO QAPD (U.S. Department of Energy 2007). Policies, plans, and procedures related to the Actinide Chemistry Program at the LANL-CO/CEMRC. LANL-CO/CEMRC activities had appropriate procedures and were effectively implemented. Technical processes and the QA program and procedures were adequate relative to the flow down of requirements from the CBFO QAPD (U.S. Department of Energy 2007), the CCP QAPjP and implementing procedures, and the WIPP HWFP (State of New Mexico 1999) WAP. NTS TRU waste characterization activities performed by NTS or for NTS by the CCP, including S5000 debris waste, relative to the requirements of the WIPP HWFP (State of New Mexico 1999). The NTS/CCP technical processes and QA programs met requirements contained in the HWFP (State of New Mexico 1999), CCP QAPjP, and related NTS/CCP implementing procedures. Technical and QA activities related to the redeployment of characterization equipment at the NTS by the CCP in support of Bechtel Nevada characterization activities. The NTS/CCP areas evaluated were satisfactorily implemented. Characterization and certification activities performed since CBFO Audit A-05-02, conducted on October 5 – 8, 2004, NTS/CCP project records disposition, and turnover activities between NTS and CCP. The project records and service activities of CCP were procedurally adequate, and the procedures were satisfactorily implemented and effective. Reevaluate the adequacy, implementation, and effectiveness of the RL TRU waste characterization, transportation, and certification activities. RL technical and QA procedures continued to be adequate relative to the flow down of requirements from the CBFO QAPD (U.S. Department of Energy 2007), the WAP of the HWFP (State of New Mexico 1999), the CH-TRU WAC (U.S. Department of Energy 2008a), the Transuranic Package Transporter-II (TRUPACT-II) Safety Analysis Report (U.S. Department of Energy 2005b), the TRAMPAC (U.S. Department of Energy 2005a), and the TRUPACT-II Certificate of Compliance (U.S. Nuclear Regulatory Commission). RL/CCP waste characterization activities relative to the requirements detailed in the WIPP HWFP (State of New Mexico 1999). RL/CCP technical and QA programs, as applicable to the audited activities, met the requirements contained in the HWFP (State of New Mexico 1999). RL processes for sample design, reconciliation of DQOs and the administrative processes ensuring project-level V&V, and the subsequent confirmation of AK. Technical and selected QA activities. Technical and QA procedures were adequate relative to the flow down of requirements from the CBFO QAPD (U.S. Department of Energy 2007), the WAP of the WIPP HWFP (State of New Mexico 1999), and the WIPP WAC (U.S. Department of Energy 2008a). HSG sampling, analysis, and associated activities utilizing the CCP single-sample manifold HSG sampling and analysis system. The single-sample manifold HSG sampling and analysis system and process employed by CCP for obtaining and analyzing HSG samples was adequate relative to the flow down of requirements from the WIPP HWFP (State of New Mexico 1999). CCP technical processes were satisfactorily implemented and effective. RL TRU waste characterization, transportation, and certification activities. RL technical and QA procedures continued to be adequate relative to the flow down of requirements from the CBFO QAPD (U.S. Department of Energy 2007), the WAP of the HWFP (State of New Mexico 1999), the CH-TRU WAC (U.S. Department of Energy 2008a), the TRUPACT-II Safety Analysis Report (U.S. Department of Energy 2005b), the TRAMPAC (U.S. Department of Energy 2005a), and the TRUPACT-II Certificate of Compliance (U.S. Nuclear Regulatory Commission). RL technical and QA procedures continued to be adequate relative to the flow down of requirements from the CBFO QAPD (U.S. Department of Energy 2007), the CH-TRU WAC (U.S. Department of Energy 2008a), the TRUPACT-II Safety Analysis Report (U.S. Department of Energy 2005b), the TRAMPAC (U.S. Department of Energy 2005a), and the TRUPACT-II Certificate of Compliance (U.S. Nuclear Regulatory Commission). RL technical and QA procedures continued to be adequate relative to the flow down of requirements from the CBFO QAPD (U.S. Department of Energy 2007) and the WAP of the HWFP (State of New Mexico 1999). RL TRU waste characterization and certification activities. RL technical and QA programs and procedures continued to be adequate and effectively implemented relative to the flow down of requirements from the CBFO QAPD (U.S. Department of Energy 2007), the WAC (U.S. Department of Energy 2008a), the TRUPACT-II Safety Analysis Report (U.S. Department of Energy 2005b), the TRAMPAC (U.S. Department of Energy 2005a), and the TRUPACT-II Certificate of Compliance (U.S. Nuclear Regulatory Commission). Technical activities related to the RL TRU waste characterization activities for HSG sampling and gastight (a.k.a. airtight) seal of pipe overpack containers at the Waste Receiving and Processing facility, as applied to SCGs S3000, homogeneous solids, and S5000, debris waste. RL technical procedures were adequate relative to the flow down of requirements from the CBFO QAPD (U.S. Department of Energy 2007), and the WAC (U.S. Department of Energy 2008a). The RL QA Program met the requirements of the QAPD and WAC. RFETS TRU waste characterization activities relative to the requirements contained in the WIPP HWFP (State of New Mexico 1999), CH-TRU WAC (U.S. Department of Energy 2008a), and QAPD (U.S. Department of Energy 2007). RFETS technical and QA programs, as applicable to audited activities, were satisfactory in meeting requirements. RFETS TRU waste characterization activities for SCG S4000 soils/gravels, relative to the requirements of the WIPP HWFP (State of New Mexico 1999) and the CBFO QAPD (U.S. Department of Energy 2007). RFETS TRU waste characterization activities for debris and solid waste relative to the requirements detailed in the WIPP HWFP (State of New Mexico 1999). RFETS technical and QA programs, as applicable to audited activities, were satisfactory in meeting requirements contained in the HWFP (State of New Mexico 1999). Life-cycle documentation, configuration management, and change control for software related to RFETS Health Effects Research Laboratory Gas/Aerosol System (HGAS) analysis systems provided by LANL. Software for the HGAS systems was classified in accordance with procedures and the life-cycle documentation and software control were acceptable. Technical and QA activities at RFETS. The activities evaluated were satisfactorily implemented. Technical and QA activities at RFETS at the end of project. WTS data processing activities over the last seven years as related to selected portions of the Environmental Monitoring program. WTS procedures were adequate relative to the flow down of data processing requirements from the Compliance Certification Application and CRA-2004. WTS Repository Development Project procedures and implementation of applicable QA requirements defined in American Society of Mechanical Engineers (ASME) NQA-1, 1989, and the CBFO QAPD (U.S. Department of Energy 2007) and WTS QAPD. WTS Repository Development Project QA Program was adequate and the implementing procedures were satisfactorily implemented and effective. WTS Surface Operations and Maintenance activities, procedures, and implementation of the applicable WTS QA requirements as defined in ASME NQA-1, 1989 edition, and the CBFO QAPD (U.S. Department of Energy 2007) and WTS QAPD. WTS Surface Operations and Maintenance QA program was adequate and the implementing procedures were satisfactorily implemented and effective. WTS Waste Operations activities and implementation of the applicable WTS QA requirements defined in ASME NQA-1, 1989 edition, and the CBFO QAPD (U.S. Department of Energy 2007) and WTS QAPD. WTS Waste Handling Operation implementing procedures. WTS Waste Handling Operation QA program and implementing procedures were adequate, satisfactorily implemented, and effective. Verify that the WTS Safety and Health QA Program met applicable requirements as defined in ASME NQA-1-1989 edition; NQA-2a-1990 addenda, part 2.7, to ASME NQA-2-1989 edition and ASME NQA-3-1989 edition (excluding Sections 2.1 (b) and (c) and Section 17.1); and the CBFO QAPD (U.S. Department of Energy 2007). The adequacy, implementation, and effectiveness of the WTS Safety and Health implementing procedures. WTS Safety and Health QA program and implementing procedures were adequate relative to the flow down of requirements from the CBFO QAPD (U.S. Department of Energy 2007) and the ASME NQA documents. WTS continued implementation of the QA requirements defined in the CBFO QAPD (U.S. Department of Energy 2007), NQA-1 elements, and applicable WTS implementing procedures. WTS QA procedures were adequate relative to the flow down of requirements from the CBFO QAPD (U.S. Department of Energy 2007), and WTS implementing procedures and processes are effective. Technical and QA processes related to the WTS QA program and waste handling activities. The WTS QA Program was adequate relative to the flow down of selected requirements from the CBFO QAPD (U.S. Department of Energy 2007), ASME NQA-1, 1989 edition, the WTS QAPD, ASME NQA-1, 1989 edition, the WTS QAPD, and WTS implementing procedures. Implementing procedures were satisfactorily implemented and effective. WTS QA program as applied to waste processing activities. The WTS QA Program was adequate relative to the flow down of selected requirements from the WTS QAPD, ASME NQA-1, 1989 edition, and the WTS QAPD and implementing procedures. Implementing procedures were satisfactorily implemented and are effective. WTS continued implementation of the QA requirements defined in the CBFO QAPD (U.S. Department of Energy 2007) and applicable WTS implementing procedures. WTS QA procedures were adequate relative to the flow down of requirements from the CBFO QAPD (U.S. Department of Energy 2007) and the QA program was effective. WTS continued implementation of NQA-1 Criteria 3, 5, 8 through 14, NQA-2 Part 2.7, and applicable WTS implementing procedures. WTS continued implementation of NQA-1 Criteria 1, 2, 4, 6, 7, 15, 16, 17, and 18, and applicable WTS implementing procedures. WTS continued implementation of Waste Handling Operations procedures. WTS waste handling operations procedures contained adequate flow down of requirements from the CBFO QAPD (U.S. Department of Energy 2007) and U.S. Department of Energy (DOE) documents, and the Waste Handling Operations program was effective. 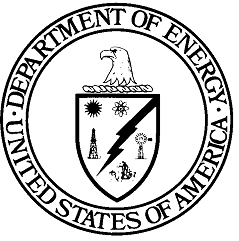 WTS continued implementation of DOE/CBFO-94-1012, QAPD (U.S. Department of Energy 2007). WTS QA procedures were adequate relative to the flow down of requirements from the CBFO QAPD (U.S. Department of Energy 2007). WTS continued implementation of a QA Program related to Criteria 1 through 9 of the QAP Requirements for Nuclear Facilities. WTS QA procedures were adequate relative to the flow down of requirements from the upper-tier documents. QA and technical activities related to waste handling operations at the WIPP. WTS waste handling operations procedures were adequate relative to the flow down of requirements from the upper-tier documents. WTS continued implementation of a QA program in relation to ASME NQA-1, 1989 Edition. The adequacy, implementation and effectiveness of the WTS Seismic Monitoring Operations. WTS Seismic Monitoring Operations for the surface and underground process and associated activities were satisfactorily implemented and effective. The adequacy, implementation and effectiveness of WTS Ground Control and Mine Safety. WTS Ground Control and Mine Safety processes and associated activities were satisfactorily implemented and effective. Fire protection activities in both the surface and underground operations at the WIPP. WTS Fire Protection processes and associated activities were satisfactorily implemented and effective. Dosimetry activities in both the surface and underground operations at the WIPP. The WTS Dosimetry Program was adequate, satisfactorily implemented, and effective. Subsidence monitoring activities at the WIPP. The WTS Subsidence Monitoring Program and associated activities were satisfactorily implemented and effective. The Standards/Requirements Identification Document (S/RID) change and update process and the requirements document impact analysis process. The WTS S/RID change and update process and the requirements document impact assessment process and implementing procedures was adequate, implementation was satisfactory, and the process was effective. The Receipt Inspection Process, as implemented by WTS at the WIPP. The Receipt Inspection Process was adequately described in the WTS QAPD and implementing procedures. The WTS receipt inspection procedures were satisfactorily implemented and effective. Graded approach documentation and use in work processes, associated independent assessments of the graded approach, and training of personnel making graded approach decisions. The WTS and CCP Graded Approach activities were adequate, satisfactorily implemented, and effective. The WTS TRUPACT-III procurement activities being conducted at the WIPP. Implementation of the WTS activities involved in the TRUPACT-III procurement and QA oversight were effective and adequate to comply with regulatory and CBFO requirements. The WTS QAP with respect to the discharge permit activities and CBFO documents. WTS discharge permit implementing procedures. WTS activities evaluated were adequate, satisfactorily implemented, and effective. Policies, plans and procedures related to the operation, inspection/verification and maintenance of the WTS Mine Ventilation System. Activities associated with the operation and maintenance of the mine ventilation system were appropriately proceduralized and effectively implemented. Personnel had received the training appropriate to their assigned task. Records were maintained as required. WTS Radiological Control (RADCON) Program for the entire site operations at the WIPP. The WTS RADCON Program is adequate, satisfactorily implemented, and effective. WTS Central Monitoring Room (CMR) operations at the WIPP. WTS CMR operations were adequate, satisfactorily implemented, and effective. The WTS Safe Drinking Water (SDW) process at the WIPP. The WTS SDW process was adequate, satisfactorily implemented, and effective. SQA controls applied to the WIPP Waste Information System (WWIS). WTS SQA controls applied to the WWIS are adequate relative to the flow down of requirements from the CBFO QAPD (U.S. Department of Energy 2007). Implementation of software controls is satisfactorily performed in compliance with WTS implementing procedures. The SQA control program is effective with respect to WWIS software. The Groundwater Monitoring Program, as implemented by WTS at the WIPP. The WTS Groundwater Monitoring Program was adequate, satisfactorily implemented, and effective. Procedure steps for the standing orders process as found in procedure WP 04-CO, Conduct of Operations procedure. WTS standing order process procedures were adequate and procedure implementation, documentation, and training were effective. This surveillance was a follow-up to CBFO Surveillance S-06-04, Subsidence Monitoring, conducted December 12-15, 2005. This surveillance evaluated the Subsidence Survey Data Acquisition process not evaluated during Surveillance S-06-04. The WTS Subsidence Survey Data Acquisition process was adequate, satisfactorily implemented, and effective. Policies, plans, and procedures related to the procurement process (requisition through purchase order and placement). Procurement activities are performed as required. Procedures were adequate, satisfactorily implemented, and effective. WTS processes that allow for the off-site shipment of WTS hazardous waste to permitted disposal sites. WTS processes are adequate, satisfactorily implemented, and effective. WTS VOC monitoring program for site operations at the WIPP. The VOC monitoring program is adequate, satisfactorily implemented, and effective. WTS policies, plans, and procedures related to the electrical safety program at the WIPP. The electrical safety program was adequately described in the WTS QAPD and implementing procedures. The WTS electrical safety program and procedures were satisfactorily implemented and effective. WTS activities associated with the WTS maintenance program at the WIPP. The WTS maintenance program is adequate, satisfactorily implemented, and effective. The WTS Monitoring Program – Delaware Basin operations at the WIPP. WTS Monitoring Program – Delaware Basin operations were adequate, satisfactorily implemented, and effective. Software activities in association with the Central Monitoring System (CMS) at the WIPP. The WTS CMS software activities were adequate, satisfactorily implemented, and effective. Procedures describing software back-up activities applied to safety-related software such as the CMS and other software applications used for design and modeling of possible release of material from the WIPP. WTS software QA activities related to safety software applications were acceptable, and procedure implementation and software QA documentation were effective. SNL NWMP QA Program for the WIPP. The SNL NWMP QA program for the WIPP remained adequate, satisfactorily implemented, and effective. The SNL NWMP QA program for the WIPP remains adequate, satisfactorily implemented, and effective. The SNL NWMP QA program for the WIPP was adequate, satisfactorily implemented, and effective. SNL WIPP QA Program for the WIPP. The SNL WIPP QA program for the WIPP was adequate, satisfactorily implemented, and effective. The CCP IQ3 NDA at the SRS relative to TRU waste characterization activities for waste shipped to the WIPP. CCP technical processes and procedures associated with the IQ3 NDA System and selected QA program elements were satisfactory in meeting requirements. SRS TRU waste characterization activities performed by SRS or for SRS by the CCP for debris waste relative to the requirements detailed in the WIPP HWFP (State of New Mexico 1999). The defined QA and technical processes for the audited activities were implemented in accordance with the CCP TRU waste QAPjP and related SRS/CCP implementing procedures. Audited processes were adequate, satisfactorily implemented, and effective. SRS TRU waste characterization activities performed by SRS or for SRS by the CCP for debris waste, relative to the requirements detailed in the WIPP HWFP (State of New Mexico 1999). SRS/CCP technical and QA programs, as applicable to the audited activities, met requirements contained in the HWFP (State of New Mexico 1999). SRS TRU waste characterization activities performed by SRS or for SRS by the CCP relative to the requirements detailed in the WIPP HWFP (State of New Mexico 1999), the CBFO QAPD (U.S. Department of Energy 2007), and the CH-TRU WAC for the WIPP (U.S. Department of Energy 2008a). SRS technical and QA programs, as applicable to audited activities, were satisfactory in meeting requirements. SRS TRU waste characterization activities performed by the SRS CCP relative to the requirements detailed in the WIPP HWFP (State of New Mexico 1999), the CBFO QAPD (U.S. Department of Energy 2007), and the CH-TRU WAC (U.S. Department of Energy 2008a) for the WIPP. The SRS/CCP technical and QA programs, as applicable to audited activities, were satisfactory in meeting requirements. SRS TRU waste characterization activities performed for SRS by the CCP relative to the requirements detailed in the CBFO QAPD (U.S. Department of Energy 2007) and the CH-TRU WAC (U.S. Department of Energy 2008a). SRS TRU waste characterization activities of the Battelle Columbus RH-TRU SCG S5000 (debris waste) performed for SRS by the CCP, relative to the requirements detailed in the WIPP HWFP (State of New Mexico 1999), the CBFO QAPD (U.S. Department of Energy 2007), and the WAC (U.S. Department of Energy 2008a). SRS/CCP technical and QA programs, as applicable to the audited activities, were satisfactory in meeting requirements. SRS TRU waste characterization activities performed by the SRS CCP relative to the requirements detailed in the WIPP HWFP (State of New Mexico 1999), the CBFO QAPD (U.S. Department of Energy 2007), and the WAC for the WIPP (U.S. Department of Energy 2008a). SRS/CCP technical and QA programs, as applicable to audited activities, were satisfactory in meeting requirements. Characterization and certification activities for CCP shipment of overpack containers from the SRS to the WIPP. Procedures and associated data for characterization and certification of the standard waste box (SWB) overpacks were reviewed and were found acceptable. The selection process of overpack candidate drums complied with the WIPP WAC (U.S. Department of Energy 2008a). Input of overpack documentation into the CCP database was correct for the sampled fields. WIPP WAC limits were acceptable for the overpack shipment payload. RTR and VE activities being conducted at the SRS. Implementation of the SRS/CCP activities involved in the RTR and VE activities were effective and adequate to comply with regulatory and CBFO requirements. SRS Mobile segmented gamma scanner (SGS) operations performed by CCP relative to the requirements detailed in DOE/WIPP-02-3122, Rev. 6, WIPP WAC (U.S. Department of Energy 2008a). SGS activities were determined to be adequate, satisfactorily implemented, and effective. The adequacy, implementation, and effectiveness of selected CBFO QAPD (U.S. Department of Energy 2007) requirements in accordance with selected criteria of ASME NQA-1, 1989 edition. CBFO QAPD (U.S. Department of Energy 2007) and applicable implementing procedures were adequate relative to the flow down of requirements from NQA-1 selected criteria, with the exception of CBFO Management Procedure 2.1, Personnel Qualification and Training, which was determined to be unsatisfactory. Corrective actions continued to be effective for selected CARs (U.S. Department of Energy 2008b) generated during CBFO Surveillance S-03-08. Selected CBFO QAPD (U.S. Department of Energy 2007) sections addressing selected criteria of the ASME NQA-1, 1989 edition and NQA-2-1990a, part 2.7, and the associated QAPD implementing procedures. Although the CBFO organizational structure appeared to meet the intent of ASME/NQA-1-1989, the implementation and effectiveness of the organization were indeterminate because of the lack of implementing procedures reflecting the new organization. Selected sections of DOE-CBFO-94-1012, CBFO QAPD, Rev. 7, and implementing procedures, addressing selected criteria of the ASME NQA-1-1989 edition. The CBFO QAPD (U.S. Department of Energy 2007) was adequate relative to the flow down of requirements from the applicable NQA-1 criteria, and the CBFO QA implementing procedures were adequate relative to the flow down of requirements from the CBFO QAPD. Selected sections of DOE-CBFO-94-1012, CBFO QAPD, Rev. 8, and associated implementing procedures, addressing selected criteria of the ASME NQA-1-1989 edition. The effectiveness of the CBFO corrective action reporting and tracking system. The CAR tracking information, CBFO Management Assessment finding information, and U.S. Environmental Protection Agency (EPA) finding information was being gathered, reported, and distributed adequately to facilitate prompt completion of corrective actions and closure of related CARs and findings. LLNL/CCP TRU waste characterization and certification activities related to SCG S5000 (debris waste), including technical and QA activities (U.S. Department of Energy 2004b). CCP technical and QA procedures were adequate relative to the flow down of requirements from the CBFO QAPD (U.S. Department of Energy 2007) and the WIPP HWFP (State of New Mexico 1999). Characterization and certification activities performed after the CBFO Audit A-04-25, which was conducted on May 4 – 7, 2004, and LLNL/CCP project records disposition and turnover activities between LLNL and CCP. CCP project records service activities were adequately proceduralized, procedures were satisfactorily implemented and effective. Characterization and certification activities ensured continuing processing to implementing procedures. ORNL TRU waste characterization activities performed for ORNL by the CCP relative to the requirements detailed in the WIPP HWFP (State of New Mexico 1999), the CBFO QAPD (U.S. Department of Energy 2007), and the WAC (U.S. Department of Energy 2008a). ORNL/CCP technical and QA programs, as applicable to the audited activities, were adequate and satisfactory in meeting requirements. ORNL technical processes related to the CCP program as applied to AK and NDA. The procedures, processes, and controls in place were adequate, efficient, and effectively implemented to comply with the technical and QA processes to control the work and waste certification. Technical processes of INEEL AMWTF TRU waste characterization activities as they relate to the addition of the Consonant Technologies, Inc. (CTI) headspace sampling system for S3000 (solids) waste. The AMWTF technical and QA programs, as applicable to audited activities, were satisfactory relative to the flow down of requirements from the CBFO QAPD (U.S. Department of Energy 2007) and the WIPP HWFP (State of New Mexico 1999). The technical processes of INEEL AMWTF TRU waste characterization activities as they relate to the addition of the CTI HSG sampling and analysis system for SCG S3000 (solids) waste. AMWTF technical and QA programs, as applicable to audited activities, was satisfactory in meeting the flow down of requirements from the CBFO QAPD (U.S. Department of Energy 2007) and the WIPP HWFP (State of New Mexico 1999). Defined QA and technical programs for these activities were implemented in accordance with applicable requirement documents and the implementing procedures. Technical and QA processes related to the INEEL AMWTF TRU waste characterization and certification activities as they relate to the WIPP HWFP (State of New Mexico 1999) for SCG S3000 homogenous solids waste. AMWTF technical and QA procedures were adequate relative to the flow down of requirements from the CBFO QAPD (U.S. Department of Energy 2007), WIPP HWFP (State of New Mexico 1999) WAP, and CH-TRU WAC (U.S. Department of Energy 2008a). The defined QA Program was being satisfactorily implemented in accordance with the AMWTF QAPjP (Arbon 2003), and the Certification Plan. Technical and QA processes related to INL AMWTF TRU waste characterization and certification activities as they relate to the WIPP HWFP (State of New Mexico 1999) for SCG S5000 debris waste, including supercompacted waste. AMWTF technical activities and QA Program and procedures were adequate relative to the flow down of requirements from the CBFO QAPD (U.S. Department of Energy 2007), the WIPP HWFP (State of New Mexico 1999) WAP, and the AMWTF QAPjP (Arbon 2003). Technical and QA processes related to the INL AMWTF TRU waste characterization and certification activities as they relate to the WIPP HWFP (State of New Mexico 1999) for SCG S3000 homogeneous solids waste. AMWTF technical procedures and the QA Program and procedures were adequate relative to the flow down of requirements from the CBFO QAPD (U.S. Department of Energy 2007), the HWFP (State of New Mexico 1999) WAP, the CH-TRU WAC (U.S. Department of Energy 2008a), the AMWTF QAPjP (Arbon 2003), the Certification Plan, and implementing procedures. INL AMWTF TRU waste characterization and certification activities as they relate to the WIPP HWFP (State of New Mexico 1999) for SCG S3000 (homogeneous solids waste). AMWTF technical procedures were adequate relative to the flow down of requirements from the WAP of the WIPP HWFP (State of New Mexico 1999), and the CH-TRU WAC (U.S. Department of Energy 2008a). INL AMWTF TRU waste characterization and certification activities as they relate to the WIPP HWFP (State of New Mexico 1999) for SCG S5000 (debris waste). AMWTF TRU waste characterization activities performed by AMWTF, relative to the requirements detailed in the CBFO QAPD (U.S. Department of Energy 2007), the WIPP CH-TRU WAC (U.S. Department of Energy 2008a), the CH-TRAMPAC (U.S. Department of Energy 2005a), and the WIPP HWFP (State of New Mexico 1999), as related to SCG 5000 QA and transportation activities. AMWTF technical and QA programs, as applicable to audited activities, were satisfactory in meeting requirements. The audit team verified that the AMWTF QA program for characterization and certification activities related to SCG S5000 (debris waste) was adequate, satisfactorily implemented, and effective. INL AMWTF TRU waste characterization and certification activities as they relate to the WIPP HWFP (State of New Mexico 1999) for SCGs S3000 (homogeneous solids) and S5000 (debris waste). AMWTF TRU waste characterization activities performed by AMWTF relative to the requirements detailed in the CBFO QAPD (U.S. Department of Energy 2007), the WIPP CH-TRU WAC (U.S. Department of Energy 2008a), the CH-TRAMPAC (U.S. Department of Energy 2005a), and the WIPP HWFP (State of New Mexico 1999), as related to QA, NDA, and transportation activities. AMWTF technical and QA programs, as applicable to audited activities, were satisfactory in meeting requirements. INL AMWTF TRU waste characterization and certification activities as they relate to the WIPP HWFP (State of New Mexico 1999) for SCG S3000 (homogeneous solids) and S5000 (debris) wastes, and drum coring of homogeneous solids (S3000) and soils/gravel (S4000) wastes. AMWTF technical procedures were adequate relative to the flow down of requirements from the WAP of the WIPP HWFP (State of New Mexico 1999), and the WAC (U.S. Department of Energy 2008a). AMWTF TRU waste characterization activities relative to the requirements of the CBFO QAPD (U.S. Department of Energy 2007), the CH-TRU WAC for the WIPP (U.S. Department of Energy 2008a), and the WIPP HWFP (State of New Mexico 1999), as related to QA and NDA. Identification and correction of recent nonconforming conditions in the waste certification process at the AMWTF. Specific areas evaluated included waste certification, payload certification, WWIS certification, project-level review, nonconformance control, and training. AMWTF was in the process of implementing short-term corrective actions that would assure compliance with program requirements. AMWTF was in the process of establishing long-term corrective actions that would preclude recurrence of the issues. No new conditions adverse to quality that required the issuance of a CAR were identified. Specific elements of the contract transition that recently occurred. The evaluation examined objective evidence relating to the AMWTF contract transition process. AMWTF was still in the process of contract transition. The transition had not impacted personnel, equipment, and procedures that had been previously evaluated. Policies, plans, and procedures related to solids sampling activities. Activities associated with coring operations at the AMWTF continued to comply with the requirements of the WIPP HWFP (State of New Mexico 1999). Equipment, sample collection, sample chain-of-custody, sample storage, and shipment of waste samples using the AMWTF manual coring system. System operability and the implementation of associated procedures. The manual coring system for collection of samples for waste analysis was installed properly and initial activities were completed successfully. The system was performing acceptably for TRU waste characterization activities. The applicable implementing procedures for this system and activity were adequate, satisfactorily implemented, and effective. ANL-E/CCP TRU waste characterization and certification activities related to SCGs S5000 (debris waste) and S3000 (homogeneous solid waste). Audit A-02-03 assessed HWFP (State of New Mexico 1999) WAP-related QA activities and technical processes for characterization and certification of SCG S5000 retrievably stored CH-TRU debris waste. Audit A-03-13 assessed the HWFP (State of New Mexico 1999) WAP technical processes related to characterization and certification of SCG S3000 retrievably stored CH-TRU homogeneous solid waste. ANL-E/CCP technical and QA programs, as applicable to the audited activities, met the requirements contained in the HWFP (State of New Mexico 1999). ANL-E QA and technical support activities for the preparation of samples needed to support the WIPP HSG Performance Demonstration Program (PDP). The activities evaluated relating to QA were adequate, satisfactorily implemented, and effective. CCP characterization and certification activities related to ANL-E solid wastes. The technical and QA procedures were adequate relative to the flow down of requirements from the CBFO QAPD (U.S. Department of Energy 2007), the WIPP HWFP (State of New Mexico 1999) WAP, the WIPP WAC (U.S. Department of Energy 2008a), and the CCP QAPjP (Arbon 2003) and implementing procedures. ANL-E/CCP TRU technical processes and QA program and procedures for waste characterization and certification activities related to SCG S3000 homogeneous solid waste and S5000 retrievably stored debris waste streams. CCP technical processes and the QA program and procedures were adequate relative to the flow down of requirements from the CBFO QAPD (U.S. Department of Energy 2007), the WIPP HWFP (State of New Mexico 1999) WAP, and the CCP QAPjP (Arbon 2003). ANL QA and technical support activities for the preparation of samples needed to support the WIPP HSG PDP. Activities relating to QA were adequate, satisfactorily implemented, and effective. HSG PDP implementing procedures and activities for sample preparation, verification and distribution remained adequate, satisfactorily implemented, and effective. ANL-E QA and technical support activities for the preparation of samples needed to support the WIPP HSG PDP. Activities evaluated relating to QA were adequate, satisfactorily implemented, and effective. HSG PDP implementing procedures and activities for sample preparation, verification and distribution remained adequate, satisfactorily implemented, and effective. ANL TRU waste characterization activities performed for ANL by the CCP. The ANL/CCP QA program, as applicable to audited activities, was satisfactory in addressing established requirements. The technical elements assessed were adequate in addressing the established requirements for the activities observed. ANL/CCP technical procedures were adequate relative to the flow down of requirements from the HWFP (State of New Mexico 1999), the CBFO QAPD (U.S. Department of Energy 2007), and the WAC (U.S. Department of Energy 2008a). ANL/CCP technical areas evaluated were satisfactorily implemented and are effective. Characterization and certification activities for the period between CBFO Audit A-04-03 and the last shipment of TRU waste to the WIPP. ANL-E/CCP areas evaluated were adequately proceduralized, procedures were satisfactorily implemented, and implementation was effective. Technical and QA activities related to the CEMRC/CCP, which functions as an independent HSG analysis laboratory. CEMRC/CCP technical and QA procedures contained adequate flow down of requirements from the CBFO QAPD (U.S. Department of Energy 2007), the WIPP HWFP (State of New Mexico 1999), and the WIPP CH-TRU WAC (U.S. Department of Energy 2008a). The defined QA program was implemented in accordance with the CEMRC/CCP contract and statement of work documents, as well as the CEMRC/CCP implementing procedures and interface documents. The HSG analysis program was effective. Adequacy of previous work performed for Cycles 10A and 11A of the Resource Conservation and Recovery Act (RCRA) PDP, and to verify capability to perform work required for Cycle 12A. The adequacy of past work was acceptable. ERA facilities were adequate and the ERA quality program was adequate and effectively implemented for performing RCRA PDP Cycle 12A. Project Records Services performed by L&M Technologies, with emphasis on the records retrieval process. The project records service activities of L&M Technologies were adequately proceduralized, procedures were satisfactorily implemented and implementation was effective. WIPP RCRA PDP management and oversight activities. QA and technical activities of the PDP were adequate, marginally implemented, and effective. Programmatic direction and oversight activities by the DOE/CBFO and Carlsbad Field Office Technical Assistance Contractor (CTAC)/Portage, as specified in the PDP plans and CTAC implementing procedures, were adequate, marginally implemented, and effective.